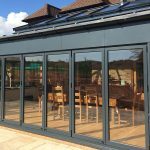 One of the many benefits of having a conservatory, and one that is surprisingly often overlooked, is the way it can enhance daily family life. For a start, you can use your home improvement for many different purposes, and your use of your extension may well vary over the years as circumstances and family needs change. For example, you could use yours as a playroom, living or dining room or as a space where teenagers can relax with their friends. Equally, if you need to send up an office permanently, you can in a conservatory without having to clear away the dining room table every mealtime. 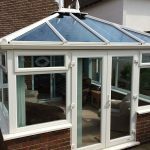 Whatever you use it for, though, your conservatory will always be secure and comfortable. The reality is that contemporary family living can take up a lot of space, especially at busy times like Christmas or birthdays. And we all have more belongings than ever, from tech gadgets and toys to gym equipment, furniture and more. A conservatory or orangery creates additional space for your family and belongings without the hassle and sheer upheaval of having to move house – or having to get rid of any of your stuff. What’s more, because these spaces tend to connect with other areas of the home, the family enjoys more space without being completely cut off from each other. Yet if one family member needs to concentrate on work, they will be able to do so in peace and quiet. Modern family life can be busy and sometimes challenging, with household members coming in and out of the house at different times of day and needing space at various points for differing reasons. 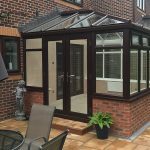 A conservatory can really help ensure that you make the most of your property and your home life so that you enjoy each other’s company without getting on one another’s nerves or under each other’s feet. So it’s an investment in your family life as well as in your property. Talk to us today and let us come up with a solution that’s perfect for your home your needs.